Fashion Week is the perfect opportunity to trial new trends so there was no better time to embrace a little velvet and a little pink in a nod to two of the big trends of the season. 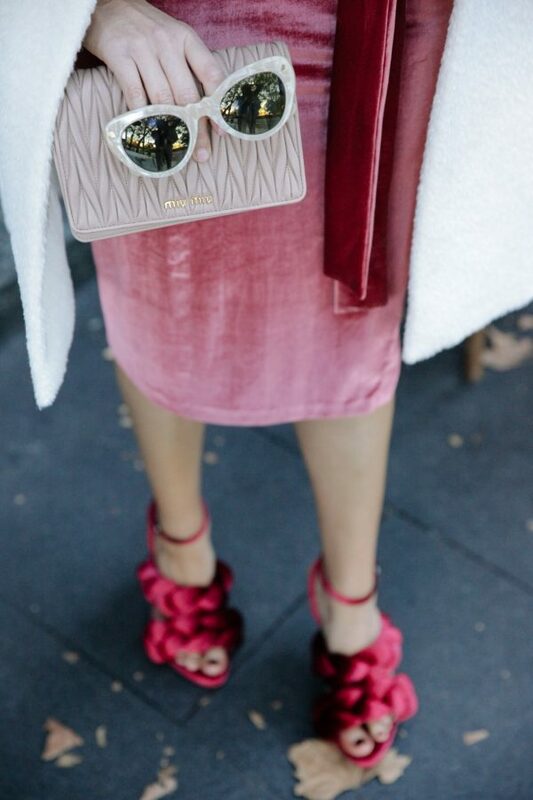 And when both trends meld into one gorgeous velvet Bec & Bridge dress in a beautiful shade of dusty pink? Well, it was a done deal. 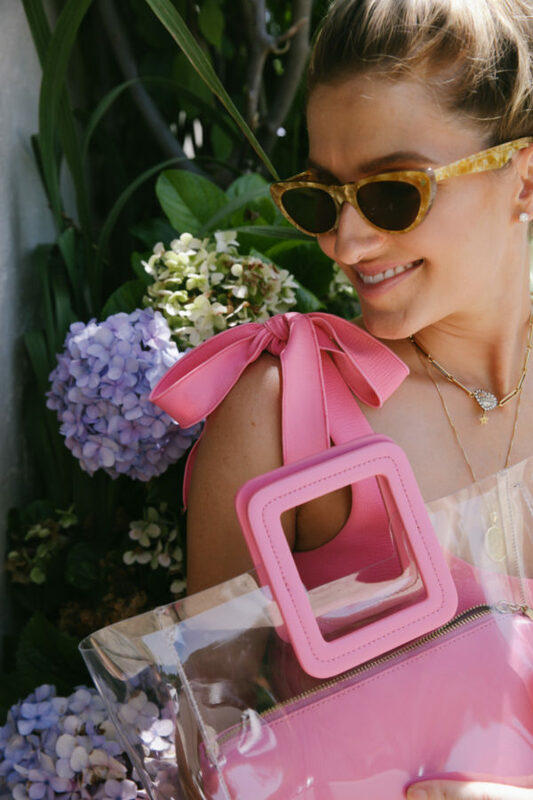 I wanted to keep the look quite tonal and also ultra feminine so I kept my accessories all pink with a pair of ombre Rebecca de Ravenel corded-silk drop earrings, a Miu Miu clutch and my latest shoe love—my Marco de Vincenzo braided heels. The weather can get quite cool whilst I’m out and about so I came prepared with a snowy white Max Mara coat and a fun pair of Lucy Folk sunglasses as the final finishing touch. I don’t often wear pink but after today, I may have to reconsider embracing my girly side more often.